Clients can avail from us an exclusive range of Rubberised Coir Products. These coir products are suitably inspected by our qualified professionals for various quality parameters to ensure they are manufactured using good quality fiber and are in compliance to the industry standards. We provide these coirs in various designs and specifications as suited to our clients. 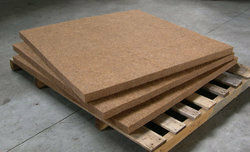 Looking for Rubberised Coir Sheets ?